MUST SEE TO APPRECIATE! This well-appointed, energy efficient home will exceed your expectations! Reap the rewards of the $30,000 that the current owner spent to improve energy efficiency and lower maintenance costs. On three levels, with 4 bedrooms and 3 1/2 baths. 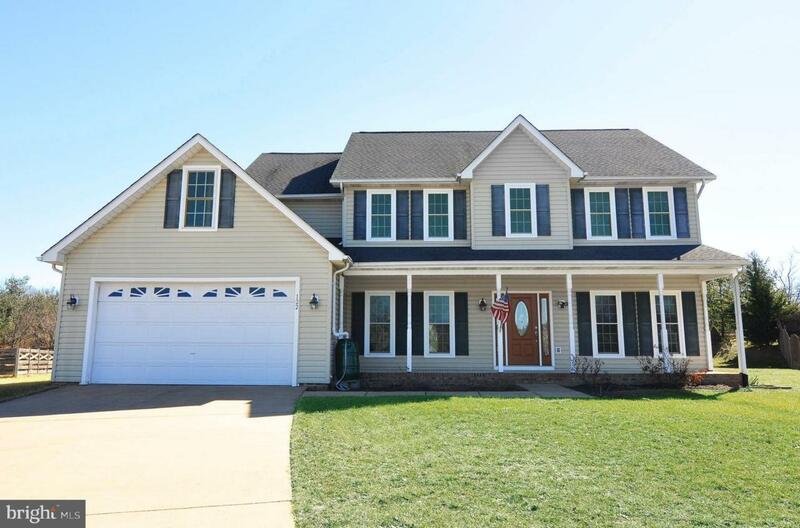 Commuter friendly location on the east side of Winchester, near Routes 7 and 50 and I-81. Level, landscaped lot at the end of a cul-de-sac with a back yard ringed by trees. This home boasts 9-foot ceilings on the main and upper levels and beautifully refinished hardwood floors on the main level. Enjoy winter evenings by the double-sided gas fireplace. Cook and bake to your heart's content in the gourmet kitchen with its Corian countertops, a tile backsplash, double wall ovens, and a peninsula with a breakfast bar. Upstairs are two master suites, each large enough for a king-size bed and each with an en suite bath. One master has a tray ceiling, huge walk-in closet, jetted tub, separate shower and double sinks. Other amenities include an upstairs laundry and two-inch, custom, wood blinds throughout. The finished walk-out basement features a great room, office and den with newer carpet and a thick, moisture/microbial resistant pad, a utility room and under-steps storage. Cable hookups in numerous locations, including at each end of the great room. Comcast in use. FIOS available. Many newer energy-efficient features have been added: High efficiency triple-paned low-E windows; Double-paned low-E front door and rear French doors; Extra attic insulation; 95% efficiency zoned Trane HVAC systems with transferable warranty; programmable thermostats; 60-gallon gas hot water heater. Stately front porch. Composite rear deck. 30-year architectural shingles. Deep 2-car garage. Concrete driveway. Video surveillance. Community with pool, sidewalks.